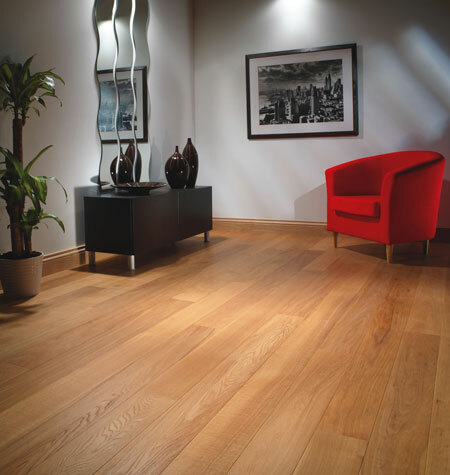 Solid wood flooring has been used for hundreds of years in houses and public buildings but it is really only in the last 60 years that the process has evolved from a craft to a science, with the introduction of multi-layered products and more recently in the late 1990’s the development of integral locking systems that greatly facilitate the installation of the floor. The increasing popularity of using wood in modern homes has led to the need for meeting significant challenges. New housing is almost always centrally heated often leading to relatively low atmospheric moisture in the air; advances have been made in the materials used for subfloors; and most recently, the growing popularity of underfloor heating; all this has led to a need for an increasing level of sophistication in the floors themselves. The very best use of a natural resource in the least wasteful and the most practical way. A product that can be laid and re-laid many times making it both economical and re-usable. A product that can be used safely in conjunction with underfloor heating subject to certain conditions. A product that can be laid much faster resulting in lower fitting costs, and, if pre-finished, can be used immediately after installation. A greater range of design possibilities offering single plank, two strip and three strip options. a. High Density Fibreboard (HDF), which is ideal for use in conjunction with thinner top wear layer boards as its very high density gives the top layer additional support. b. Soft wood, which is often used with a 4mm top wear layer as it absorbs impact and is arranged in a crisscross pattern with the grains counteracting each other so as to provide maximum dimensional stability. c. Ply Backing, which is particularly appropriate with thicker boards where the top wear layer is up to 6 or 7mm. This provides maximum stability and can also easily be nailed, stuck or floated depending on the needs of the installation.